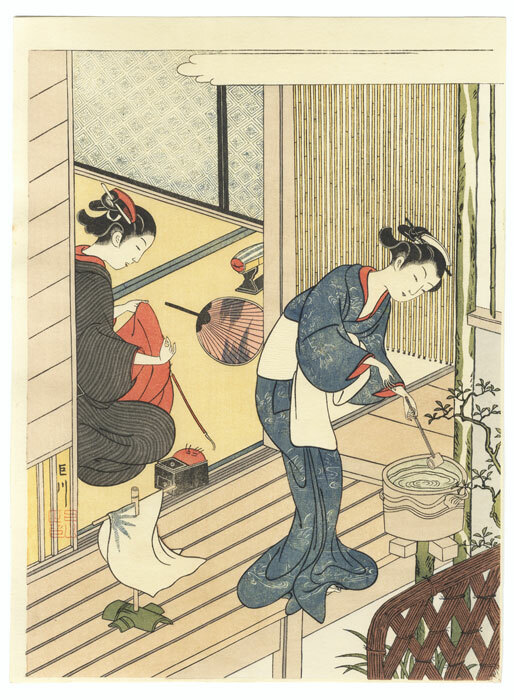 Returning Sails of the Towel Rack - Terrific Harunobu design from a series parodying the famous "Eight Views of Omi" using scenes from everyday life. 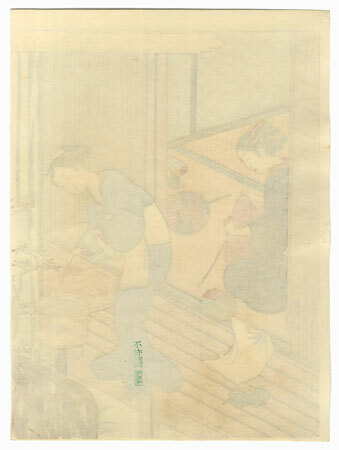 In this print, a towel fluttering on a drying rack recalls the sails of boats returning to shore for the evening. 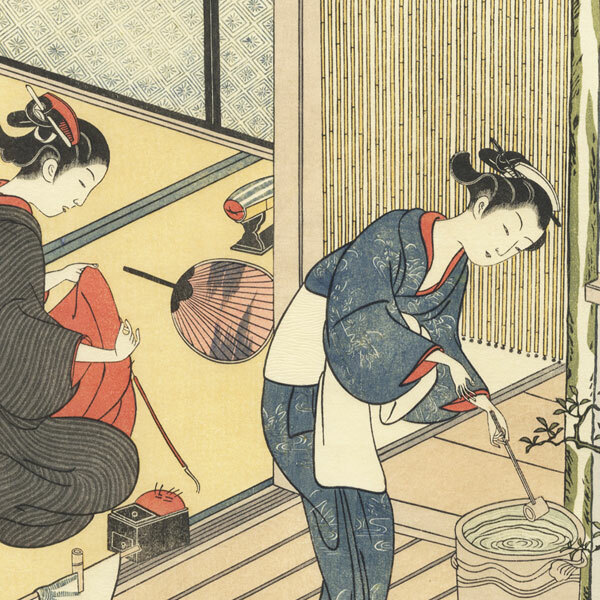 A beauty stands on the verandah dipping water from a basin while her companion inside sews. Wonderful color and fine detail.